"Wicked fun, this fantastically imaginative tale will have Harry Potter fans spellbound." 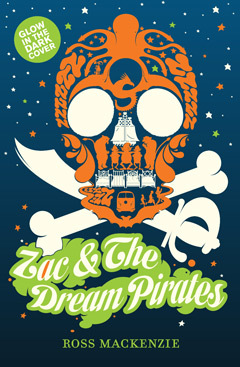 is the author of fantasy adventure Zac and the Dream Pirates. He grew up in Renfrew, just outside Glasgow, and knew from a young age that he wanted to be a writer. In fact, he completed his first illustrated book - about a crocodile called "Crunchy Colin" - in a smuggled school jotter when he was seven. 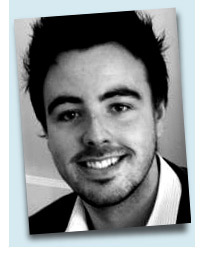 Ross studied graphic design at college, and after graduating went on to become a graphic designer. Ross lives with his wife Aileen and their young daughter Selina. He spends most of his spare time in another world. The Chicken House is a plucky, highly individual, children's book publishing company with an enthusiasm for finding new writers, artists and ideas. Chicken House books have found worldwide popularity with children, parents, teachers and librarians everywhere. Chicken House was founded in 2000 by Barry Cunningham, Publisher and Managing Director, with his Deputy Managing Director, Rachel Hickman. Barry Cunningham has worked with all the great names in children's books from Roald Dahl to J. K. Rowling: it was as founder publisher of Bloomsbury Children's Books that he discovered Harry Potter. In a short space of time, the Chicken House has demonstrated that a small, creative team can make an impact on an international scale. Chicken House has had worldwide success with German writer, Cornelia Funke, with sales of over 6,000,000 copies in English worldwide and four New York Times children's bestsellers. The Tunnels series by Roderick Gordon and Brian Williams has also proved to be an international hit and a bestseller in over 40 countries. Chicken House became part of the Scholastic group in 2005.